It has been just over a week now since my Dad and I started our cross country journey. It is proper that we should start it by visiting the state where my parents and I were born; Tennessee. We have visited aunts, uncles, and cousins. We have all wandered down memory lane together and caught up on some things that are new. All of it a celebration of family. 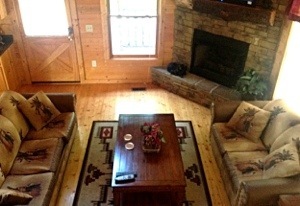 Dad and I are staying in a beautiful cabin on the top of a hill about 15 minutes outside of Pigeon Forge. I love waking up in the morning to a cup of coffee and a nice view. I am sitting on the porch now looking at the mountains. In the background are the song of Katydids rolling across the hill like waves. The air feels warm and humid and what looks like smoke rises off of the hills below me. 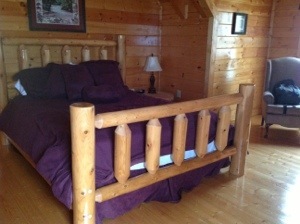 The cabin has 3 levels and 4 bedrooms. All of the amenities are here to make for a very comfortable stay. 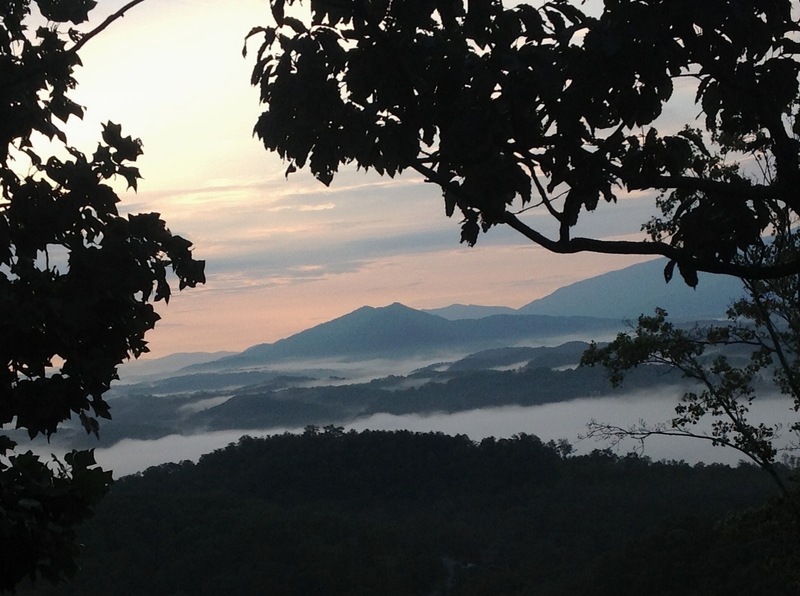 The Smoky Mountains are a short drive away and there is plenty of food and entertainment in Pigeon Forge and Gatlinburg. Dad and I had a nice drive through the Smokies to NewFound Gap. We also visited the Old Mill and Pigeon Forge Pottery. In the 1940s my mother, who passed away in 2002, used to work as a local artist in the Pigeon Forge Pottery store. As fate would have it we ended up in the pottery store on what would have been my mother and fathers 54th anniversary. When we entered the store we found a local artisan throwing and glazing her own work. At Dad’s request she signed and dated a vase she had made and he purchased it. We brought the vase up to the cabin and collected some of the wild pink roses that grow in the front yard. That evening we told stories to celebrate my mother’s memory and knew she would have loved that vase and the roses in it as it sat on the cabin dinning room table. Dad and I have had a wonderful time up here. We wish we had more time and could stay longer! Just to let you know. We signed up for the email notifications. Everything on the blog seems to be working well. I’ve clicked on every button. Nice! Keep having a good time. wow. what a beautiful place! I’m sure you had a restful and wonderful visit to the mountains. Where are you now?? I look forward everyday to checking your blog for new posts. Great to hear from you. Thanks!